Update 01/24/17: Lone Star is closed. Steak good. 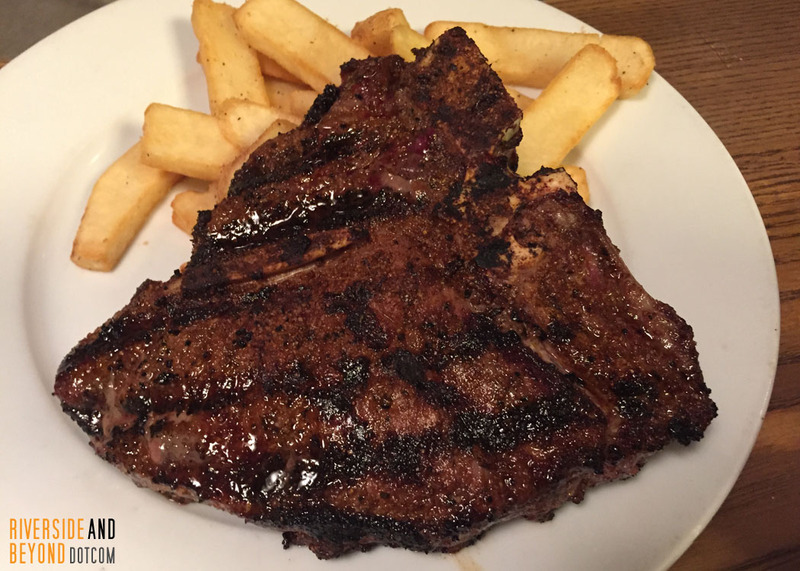 I get a little primitive when I think about steak, and when my inner carnivore growls, Lone Star Steakhouse and Saloon in Corona is the place to go. If you like to smother your steak in steak sauce, then this is not the place for you. The steak is too good to ruin it with steak sauce. This is especially true of my personal favorite, the Cajun Ribeye, which is a 16 14 oz. steak marinated in rubbed with Cajun spices and mesquite-grilled over an open flame. 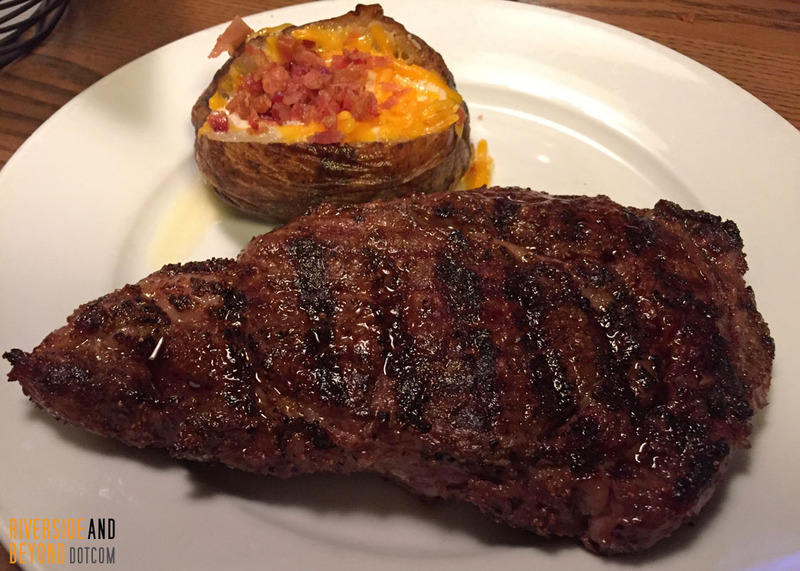 This is one of my favorite steaks anywhere, and in my opinion, is by far the best steak served at any casual dining steak house I’ve ever tried. 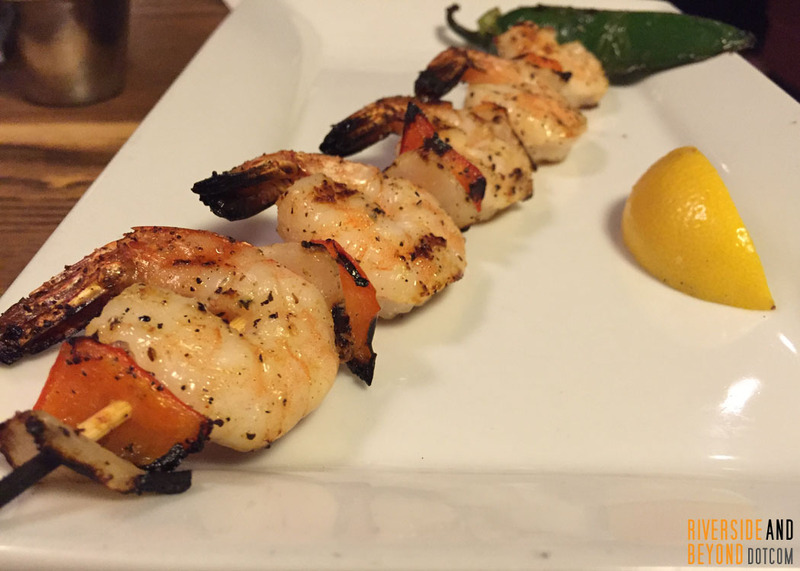 I also like to add a side of Grilled Shrimp. If Cajun isn’t your style, there are many other steaks to choose from ranging from the 9 6 oz. San Antonio Bacon-Wrapped Sirloin to the 20 oz. Porterhouse. 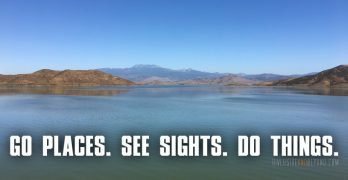 There is also much more than steak. Prime rib, lobster, Salmon, ribs, pork chops, burgers… I can’t say I’ve tried everything on the menu, but everything I have tried is great. 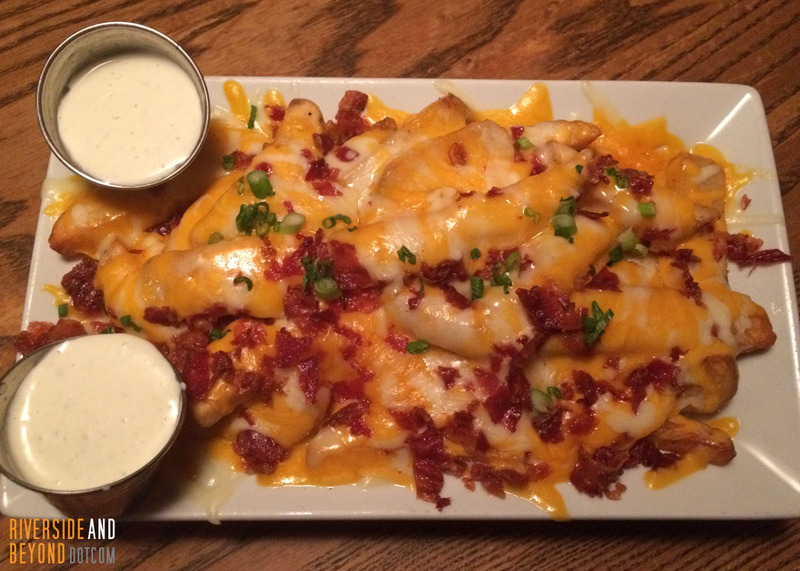 There are also great appetizers and salads. My favorites are the Lettuce Wedge and the Wild Fire Shrimp, which are small jalapeno spiced fried shrimp served with a side of ranch Loaded Cheese Fries. 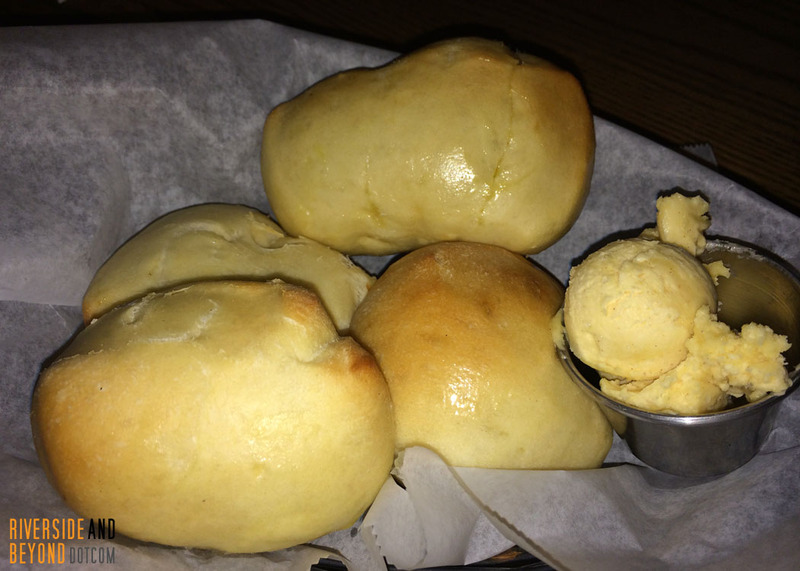 We also love the rolls, which are baked in the restaurant. Lone Star is good for all crowds. There is a full bar in the middle of the restaurant for the grown-ups, and the rest of the restaurant is suitable for families. Kids get separate menus with activity pages and crayons, and there are TVs throughout the restaurant which usually show sports. The servers keep it lively by doing a line dance during the dinner hours. This is a casual restaurant and I’ve seen people wear everything from flip-flops and shorts to suits and ties. Steak good. Lone Star steak great. 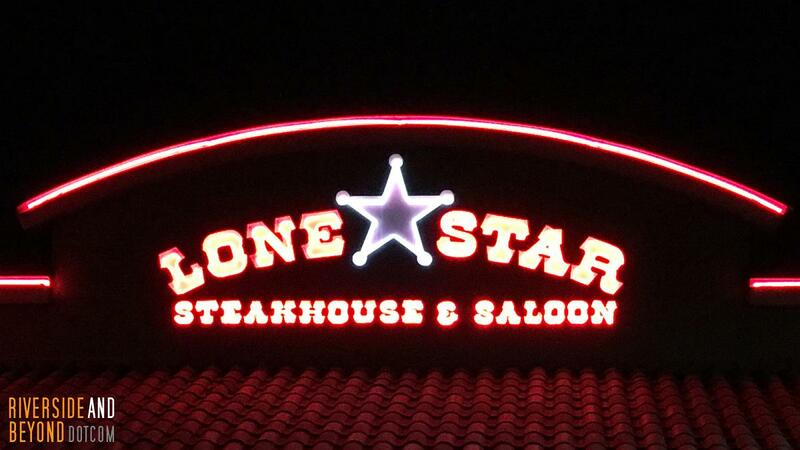 I was one of the lucky ones to have been treated by the Ole family to a dinner at Lone Star. 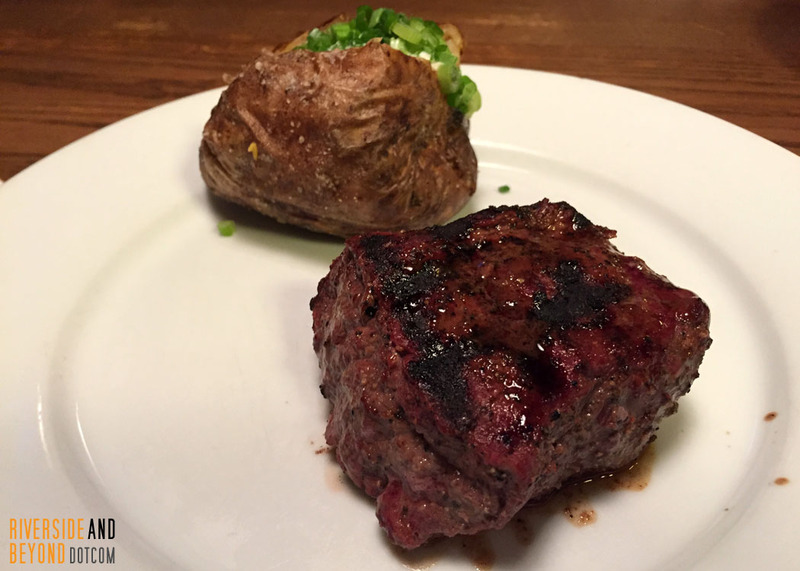 The steaks are great and the rolls are about the best you can get anywhere. They are hot, fresh, a little crispy on the outside and ultra tender on the inside. Yum! Hey, Ole; did I ever say “thank you”? Well, thank you! Between the Tustin, Laguna Hills and Corona locations, we used to eat at Lone Star about once a month for close to 10 years. Unfortunately, quality has seemed to decline over the past few years (at least at the Corona location), so we have not visited as often. 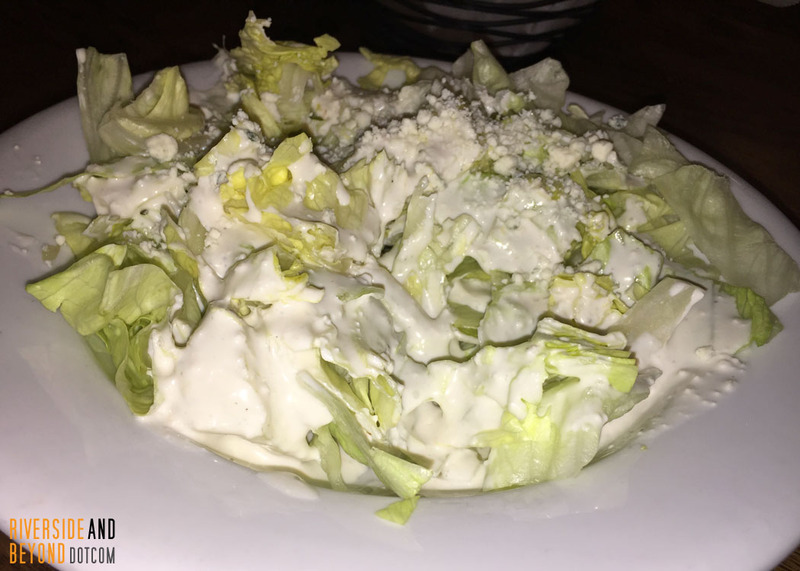 We went back again last week to try out the new menu, and were disappointed. My favorite Cajun Ribeye, which used to be a “Signature” dish, is now smaller and is “rubbed with a spicy blend of Cajun seasonings” vs. “marinated in Cajun spices” for 60 hours. The server wasn’t sure why they made the change, but let me know that other customers have complained. They also no longer serve the Wild Fire shrimp appetizer, and the Amarillo Cheese Fries appetizer is now about half the size it once was. Add in the fact that they cooked our steaks incorrectly, and I think we’ve finally made our decision to say goodbye to Lone Star. Updated the post with some menu changes and new pictures. We have gone back to Lone Star a few times since my 2012 comment above and the food has definitely improved. We went again a few nights ago and all of our steaks were cooked perfectly. I think Lone Star is back in our rotation.